A lot of beach nourishment is going on to the benefit of Galveston Island. Jerry Mohn, president of the Texas Chapter of the American Shore and Beach Preservation Association, filled me on recent sand nourishment projects. In March, about 118,000 cubic yards of sand was placed from the end of the seawall to Dellanera Park. This $4.2 million project was funded by the Texas General Land Office, the city of Galveston and Seascape Condominiums. In May, the U.S. Army Corps of Engineers began dredging the ship channel near Anchor Point that will yield 500,000 cubic yards of beach-quality sand, which will be placed from 61st Street to 89th Street. This dredge will continue every two years. Later this year or early next, the Galveston Park Board of Trustees will dredge about 750,000 cubic yards of sand to place from 16th Street to 61st Street. All these projects will benefit the West End and all of Galveston Island as the sand migrates in the littoral currents east to west. Additionally, major beach expansion is underway in Galveston, representing the largest sand nourishment project to take place on the Texas Gulf Coast this summer. Mary Beth Bassett, public relations coordinator at the Galveston Island Convention & Visitors Bureau and Park Board explained the project will use 725,000 cubic yards of sand dredged from the Galveston Ship Channel to create 20 blocks of additional beach along the island’s seawall between 61st and 81st streets. The Texas General Land Office gave about $17 million of these funds to the Park Board to use for the above projects. In addition, the Park Board will be using the 4B sales tax funds that is available for beach nourishment projects. The $23 million project is a collaborative effort sponsored by the Park Board, city of Galveston and the Texas General Land Office. 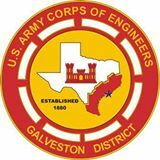 The U.S. Army Corps of Engineers Galveston District, which routinely dredges the ship channel every 18 to 24 months, will place the material on the beach in lieu of offshore. These are all major undertakings, and I am in awe of the know-how these projects take, and to make them a win-win outcome for an entertaining and economic resource make those of us lucky enough to live by the sea lucky enough!